We are offering a wide range of control panels that includes automatic control panels, presettable control panels, photoelectric control panels, photocell control panels and coding controllers, which are manufactured using superior grade raw materials. This ensures the durable performance of our range at client's end. 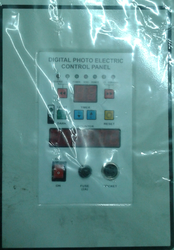 We manufacturer and supplier of a wide range of Digital Photo Electric control Panels, which are extensively used in pouch packaging industry. These photoelectric digital control panels are made of high quality raw material to ensure efficient functioning at client's end. 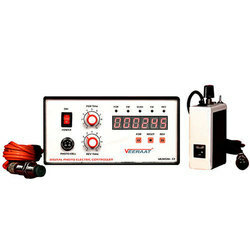 We offer Counter Digital Photo Electric Control Panel (FFS control panel).